Good Earth Organic Kombucha is a naturally low sugar carbonated beverage made by blending fermented tea with fruit juices and herbs. There are three great flavours already – tropical Passionfruit & Lime, fruity Pomegranate & Acai, and herbal Lemongrass & Ginger – with a sharply tart Original version in the works. 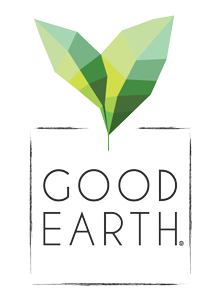 Good Earth got started in 1972 as a California company focusing on all-natural herbal and flavoured teas. They went national, then global, and were eventually acquired by Tata Global Beverages. The change of ownership prompted the Melbourne-based Australian team to think about making some changes of their own, and when they asked Aussies what they wanted, they said, “fizzy drinks with less sugar and no nasties!” Not what people who’d been selling tea for 45 years wanted to hear? No, there was one kind of tea that fit the bill – kombucha, of course – and after a little trial and error and a lot of taste testing, they had four great flavours and a whole new product line. There’ve been some changes over the decades, but from 1970s California to modern-day Melbourne, Good Earth have filled their beverages with good so you can feel great about drinking them. That means natural, organic ingredients and ecofriendly packaging that don’t harm your body or the planet. And nowadays, it means kombucha, a fizzy fermented tea that’s naturally low in sugar and makes a great alternative to unhealthy soft drinks. Will the story stop there? Not a chance - Good Earth’s Aussie team is always exploring, and always creating new natural beverages filled with flavour and goodness.